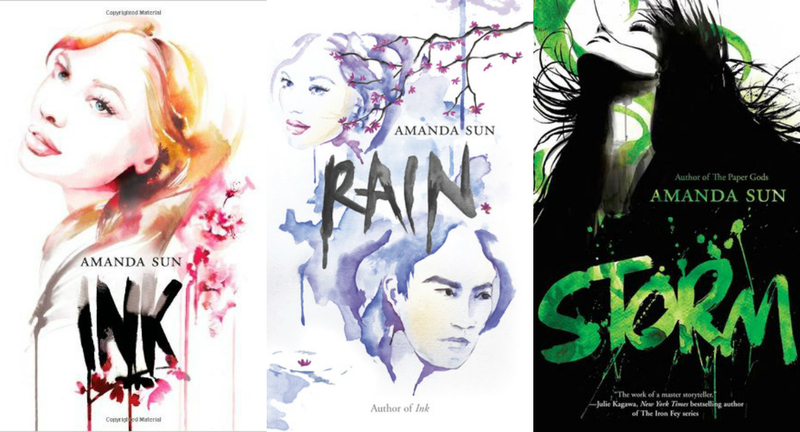 Amanda Sun is the author of The Paper Gods, a YA Fantasy series set in Japan and published by Harlequin Teen. The first two books, INK and RAIN, are Aurora Award nominees and Junior Library Guild selections. 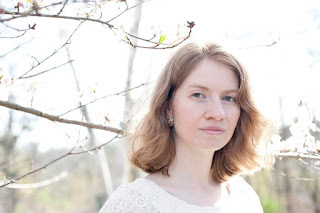 She has a new YA Fantasy coming in May 2016, HEIR TO THE SKY, about monster hunters and floating continents. When not reading or writing, Sun is also an avid cosplayer. I would like to just say before we start off that I greatly appreciate Amanda taking the time to have an interview with me even with her crazy schedule. Thanks again and Happy early Birthday! Question 1. Who are some authors that you admire? Amanda: My favourite authors are Neil Gaiman, the late Terry Pratchett, and Patrick Ness. I love their stories because they aren't afraid to walk into the dark places or paint themselves into corners, and yet they somehow always manage to get you safely out again. Question 2. What inspired you to write the Paper Gods Series? Question 3. In three words, how would you describe your first series? Question 4. Between Katie, Tomo, or Sato, Which was the most fun to write? Amanda: At first, Tomo was the most fun to write. He always had snappy (or snarky) responses that surprised me as much as Katie. I used to have to tell him in my head to slow down so I could write them all down (I know that might sound weird, but yes, I definitely hear my characters in my head). But Sato really grew and came into his own in this series, and soon I absolutely loved writing him and his different perspective on things. I did love writing all the banter between Katie and Tomo best, I think. Question 5. Do you draw or sketch like Tomo? Amanda: I always wanted to be able to draw, which is probably why I gave Tomo so much skill (and then, like a mean writer, blocked him from being able to use his talent). I do like to sketch and draw, but I'm not very good at it. I do, however, love fabric painting, which I use in a lot of my cosplays (Final Fantasy's Yuna and Rosa Farrell in particular were a lot of painting). Question 6. How did you decide on the different settings throughout the Paper Gods series? Amanda: Most books or movies set in Japan take place in Tokyo, but I think most people will agree that Tokyo is not a typical place even in Japan. It's like saying New York City represents all of American cities and towns, when it's wildly different. I loved Shizuoka because it has history, like Toro Iseki and Sengen Shrine, and it's a big city, but there also aren't many foreigners or strange Tokyo sights and sounds. I've also hosted students from Shizuoka and have visited the schools there a few times. It struck me as the right place for all of this Kami drama to unfold. Question 7. Do you have a favorite quote from Ink, Rain, or Storm? If so what is it? Amanda: I do like a line from RAIN: The fireflies clung to the spikes in his hair, casting moving light and darkness across his face. He looked like a prince; he looked like a demon. The glow and shadow flickered like candlelight, and I wasn’t sure which he belonged to. But I knew I wanted him to belong to me. Question 8. Which book out of all three was the easiest to write? Amanda: In a way, STORM was the hardest and the easiest. It was the easiest because I knew that I had to wrap up all loose ends and bring everything to a huge, dangerous, exciting finish, so there was no shortage of things to write about or straying off the path. But it was the hardest because I always felt like I was racing with the story, like the word count was adding up and I still hadn't covered everything I'd wanted to cover. Also, I hope that I've learned and improved since INK, and so I didn't want to let anyone down. So the pressure of getting everything just right also added to the difficulty of finishing the book. That said, I think STORM is one of the books I'm proudest of so far. Question 9. Are you working on any new books? Amanda: Yes! HEIR TO THE SKY is coming out April 26, 2016. 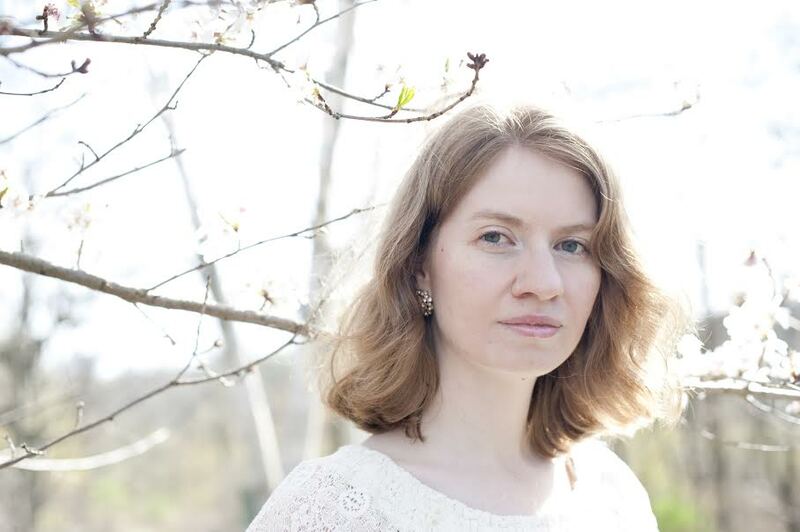 It's a YA Fantasy about floating continents, monster hunters, and pygmy goat cameos. Also pikas. Look them up. They're cute. Cover and synopsis reveal coming sometime this fall. :D I'm also working on some shorter pieces and other secret projects that I might be able to share soon. Question 10. When you’re not writing, what do you spend your free time doing? And that concludes my interview with October's Author of the Month. Thanks again Amanda, it was a lot of fun! Also such an honor since I love your series so much.